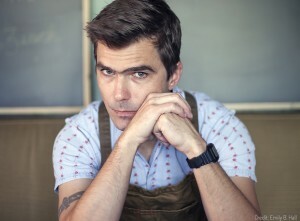 Join celebrity chef, author, and television personality Hugh Acheson for a discussion of the professional field of food. Chef Acheson will share his experiences in the food industry as a businessman, writer, and creative force in the culinary world. Whether you are interested in learning about a career in the food community or how to become an effective leader and innovator, this round table discussion with Chef Acheson is a unique and valuable opportunity. Lunch will be catered by the Dickinson College Farm and students are encouraged to come prepared with questions for Chef Acheson. This event is limited to 30 students on a first come, first served basis. Students must RSVP through Handshake no later than Tuesday, September 6th.